This multi-spectrum hologram has lines that intertwine and criss-cross as its viewing angle is changed. In the bottom-right corner a globe is positioned. Next to it are the words "Authentic", "Autentico", and "Authentique". The hologram is clear and the information on the ID card content is visible at all angles. The hologram measures 2.0"x 3.25" and fits all of our butterfly pouches perfectly. Each hologram is peel and stick and is applied manually. Holograms are ideal for enhancing the security of your card and increase the durability of the card surface. The picture shown is an artist interpretation of the hologram showing only the "flat" content on the hologram. 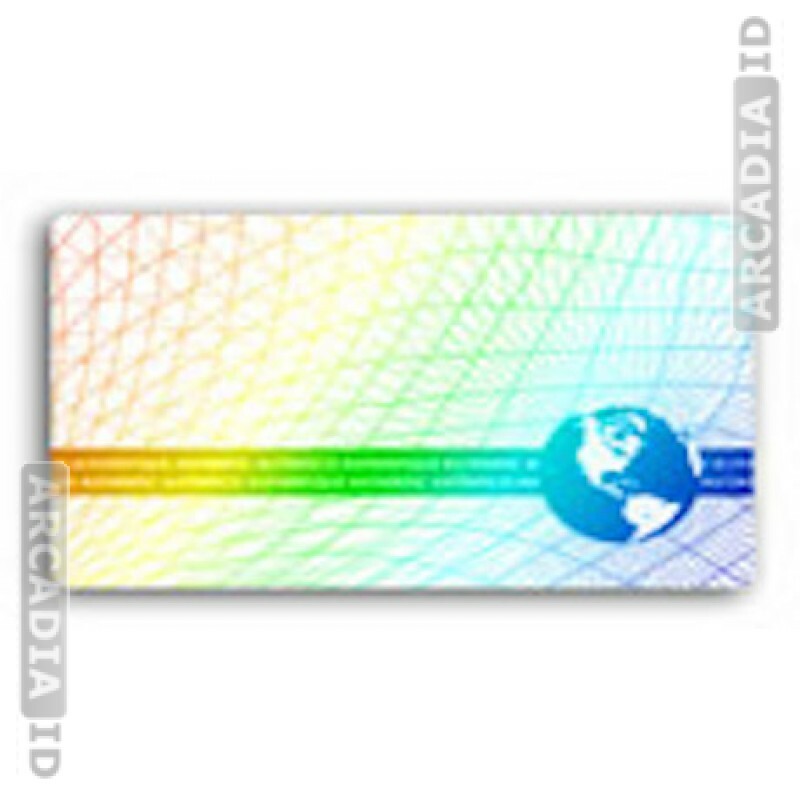 The hologram plays with light beautifully and is a fantastic security measure for your IDs. Read more about holograms on our Holograms Information page.